Alibaug is famous beach destination in Maharashtra. Every year thousand of tourist visit Alibaug from all over the india. The 'White' sand beaches are the prime attraction at Alibaug. There are around 7-8 beaches in Alibaug. 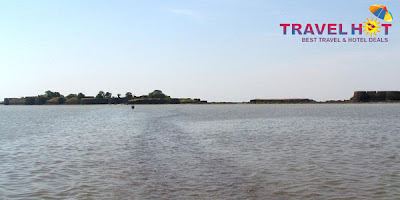 If you are planning to visit Alibaug and want to know about the tourist places and beach then here, we have some popular beaches for you. Alibaug Beach: This is main beach in the town you can see the big Kolaba fort. Kashid Beach: Located about 30 km from Alibaug, Alibaug Murud road.This this beach is probably one of the most beautiful clean beaches in the region with almost white sand. Mandawa: Situated approximately 20 km north of Alibaug. Katamaraan / Ferry Services available from Mumbai to Mandawa . Many Bollywood Celebrities own bungalows here. Varsoli Beach: It is situated just 2 Km from Alibaug S.T stand. Akshi Beach: Located 5 km from Alibaug. Nagaon Beach: Located about 7 km from Alibaug and is famous for coconuts and seeds. Kihim Beach: Located about 12 km form Alibaug. Awas: Located about 16 km from Alibaug. Saswane: Located about 18 km from Alibaug. Rewas: Located about 24 km from Alibaug. Chaul Revdanda: Located about 17 km Alibaug.